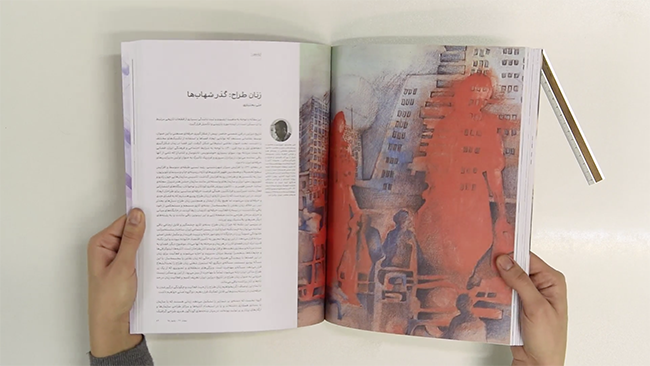 Last week the latest issue of Neshan magazine —the biggest magazine with a focus on graphic design in Iran — issue number 37 (read here), was published. I first came across the cover of this issue on the instagram account of a colleague, and was instantly drawn by three words printed under the logo: Women and Design. Curious, I scrolled down to the caption to see what articles had been considered for/on a demographic I am very much a part of. I was confronted by a list of essays on female designers, almost entirely written by men. It was exasperating, and not because I was disappointed, but because I found this long list of male writers predictable, and therein lies the problem. But, let us consider this special attention that has perhaps been offered with the best of intentions for a moment. In a country with such high numbers of female design students that are seldom given the same opportunities as their male classmates, perhaps this could be seen as empowering. Except it is not, and can not. Because it is men talking for women. I must stress my use of the word for here. It is not a happenstance that I don’t use the words about or to. Of the fifteen articles in this issue, only four are written by women, and one is an interview. What remains is mostly uninspiring articles that simply exist to praise a select few of female designers, and these are helpful to no one. It is out of the patience of this post (and this author) to go through every article and pick certain phrases to prove my point of why it would have been better for women to do to the writing, but I will single out a few examples as suggestions to how this issue could have actually been a wonderful contribution to female empowerment, as opposed to the disappointment that it is. 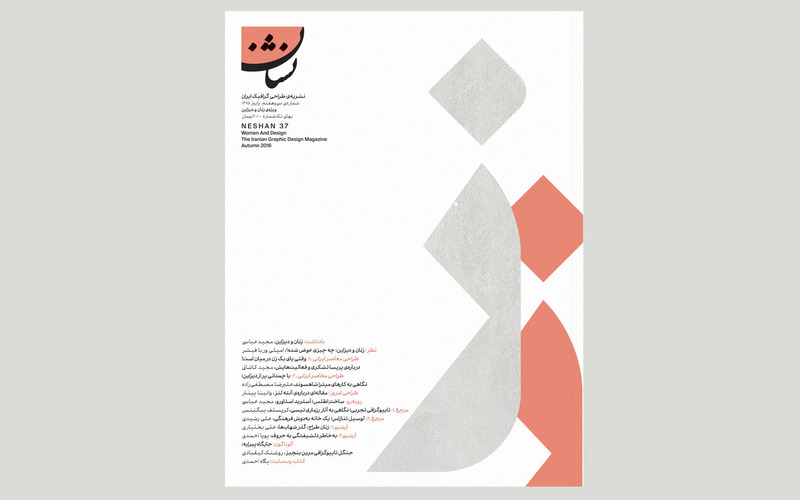 It is pointed out in the opening article that “Women and Graphic Design is chosen as the main theme of this issue of Neshan in order to focus on the work of female designers in Iran and around the world, and to highlight their presence in the field of design without gender segregation approach”. I am sorry, but this sentence is self-contradictory. The moment you speak of a certain gender and single them out, segregation has already happened. Stating that you do not intend to do this in an article while you advertise a dedication to women on the cover of the magazine is ironic. What follows the opening article is a series of pieces praising the work of female designers. In the first of these, the writer (we’ll call him Majid… because that’s his name) dedicates a whole paragraph to explaining that Parisa Tashakori’s work is outstanding because of her feminine outlook (insert cringe). I think this perhaps is the lowest point for Neshan 37. Personally, I am a fan of Ms. Tashakori’s work. I look at her posters and enjoy the wit, the cleverness and the concepts that are most certainly not reflections of the world through her uteris. The female brain does not see things in pastel shades, it does not perceive things as more delicate, it does not adjust typography and conceive it in a softer matter. Stating that a female perspective makes someone’s work unique is just silly, and if I were her, I would feel insulted by the suggestion that my gender has something to do with my success, not my hard work or talent. The next of these articles is by Alireza Mostafazadeh Ebrahimi. Now I must start here by saying that this is a man I greatly respect and admire, and who has taught me a great deal. Alireza has written a great deal of insightful and thought provoking articles for Neshan, but sadly, this was not one. While I find it considerate that he has dedicated an article to presenting the lesser known talents of Mitra Shahsavand, again I must state that an article that simply outlines the resume of a designer and tells us that she is talented is unhelpful, and can fall dangerously close to being a tedious read. 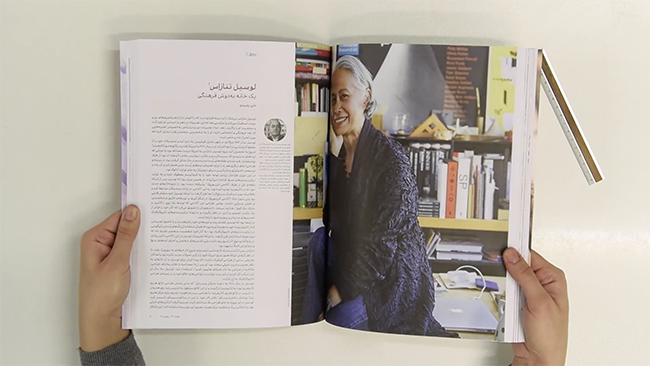 Knowing Alireza, I would have loved to instead read a friendly discussion between him and Mitra, to hear her voice reflected in the article, and to understand how a young Iranian designer has come to work with such renowned clients. Or even better, I know that Alireza has helped many young female designers find jobs and make connections in the field, and I actually think it would have been a great idea for one of these women to write about his efforts to support his female students. It would have served as an excellent example to other men that are in similar positions to help, but do not do so. This brings us to the only interview in the issue. Of course I can accept that adding more than one interview in a single issue can seem repetitive and uncreative, but to read Astrid Stavro’s voice is so refreshing that one cannot help but want more. My complaint here is similar to before; I would have liked to read questions coming from a woman, questions that would result in answers benefitting inspiration seeking students. Has Astrid faced any struggles as a woman in her field? How did she overcome them? Do clients treat her differently from the male partners at the studio? What advice would she have for young women starting out in the field? Questions like these are avoided, and instead we are presented with the generic ‘how did you get started in design?’. As someone who is primarily focused on typography and type design, I was extremely disappointed with the content relating to this topic. But I will give credit where credit is due, Pouya Ahmadi’s article on the efforts of Carol Wahler at the TDC is interesting, though I wish it was more focused on her rather than the organization and its many functions. Inspiring women such as Shelley Gruendler and Fiona Ross are only mentioned in passing in this article, which I personally think is a shame. A translation of one of Fiona’s many articles on non-Latin type would have been a significant addition to the contents of this issue. 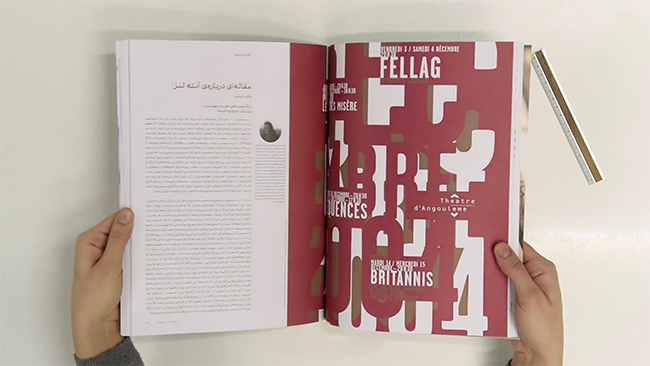 Or better yet, an interview with Fiona discussing her involvement in the production of typefaces such as Mitra and Adobe Arabic which are widely used in Iran even after so many years would have certainly been of interest to an Iranian readership. Additionally, I could go on and on about the failure to mention the Alphabettes; a failure not only because it is the biggest network of female type enthusiasts that collectively work to empower women in the field, but because the mentorship program that Alphabettes offers is something that female students in Iran could benefit from greatly. Similarly, it would have been wonderful to read even a short paragraph about Yes, Equal, a project that strives to close the gender gap in the creative community. I’m going to conclude by once again pressing that in an issue dedicated to women, it seems like a no-brainer that more voices should have been given to female writers. Even if Neshan decides to excuse themselves by pressing the four women who have contributed to this issue, I would say that these are women who have been writing for the magazine for some time now, and the negligence to reach out to new voices is in itself a spiritless display of content. Also, I hope the gentlemen who I named and criticized in this post do not see this as a personal attack. I regard them with respect as designers and learn from their work, this was simply an effort on my behalf to better the current situation. Finally I would like to thank Saed Meshki (the licenese-holder of Neshan magazine). He was the first to hear of my frustrations with the latest issue, and was very accepting of my assessments, something that is heartwarming in the Iranian graphic design community which tends to be unaccepting of any kind of criticism. thank you, Saed. This post initially appeared in RoozRang magazine. Special thanks to Hassan Mousazadeh for providing the pictures used in this post.